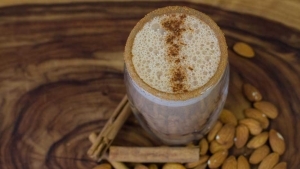 Almond Chai Latte RecipeThis is a super tasty almond chai latte that you can make in just minutes at home 🙂 It is dairy free and 100% vegan! 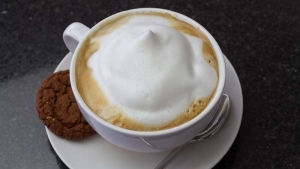 Just put all of your ingredients in a blender and let the power of the blender create your hot frothy drink for you. 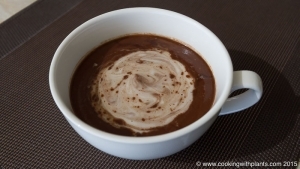 So delicious and also great served cold over cereal or as a milk for oats and porridge... YUM!!! Banana Oatmeal SmoothieIn a hurry? Want a healthy breakfast? Then this is it! 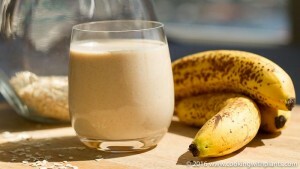 A delicious and creamy banana oatmeal smoothie that is packed with nutrition and is the perfect breakfast for those on the run. 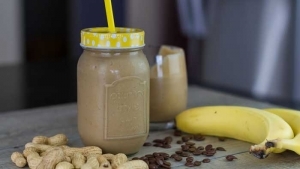 Chocolate Peanut Butter SmoothieThis chocolate peanut butter smoothie is a great dairy free alternative to a traditional thick shake. It is decadent and rich... almost like a breakfast and dessert all rolled into one! 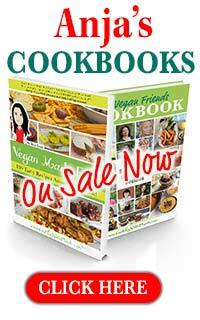 This is not an everyday food for me, but a great whole food plant based treat that is 100% vegan. 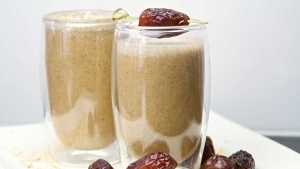 Crazy Quick Breakfast SmoothieThis yummy fruit breakfast smoothie is crazy quick to make and will give you a great start to the day! 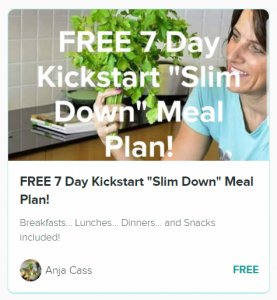 Great for anyone looking for weight loss or extra energy boost - have a quick breakfast on the run! 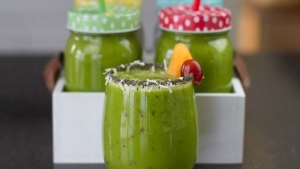 High Energy Breakfast SmoothieIf you need a quick vegan breakfast that's healthy and quick to make, then this green smoothie is a great on the go option. 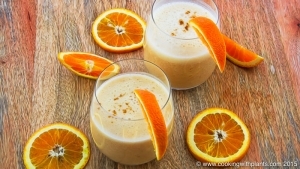 Full of calcium, iron and vitamin c, this is a high energy boost to kick-start your day. 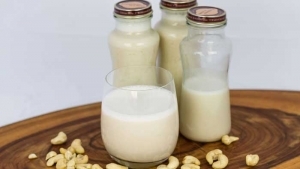 Homemade Creamy Cashew MilkToday I show you to make homemade creamy cashew milk that is naturally sweetened and tastes lovely and fresh. 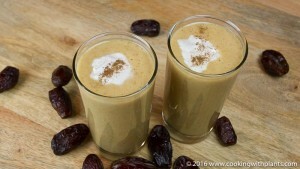 It is smooth and delicious - perfect for over cereal, in a smoothies, in soups or curries... or just on its own. You don't have to spend a lot of money on store bought cashew nut milk when you can make your own so easily. Enjoy! My Favorite Vegan Breakfast Green Smoothie!Today I show you how to make my favorite vegan green breakfast smoothie. This is super quick and easy to make and it tastes delicious. It is a great healthy way to start your day - especially if you are busy trying to get to work or taking kids to school etc. Now there is no excuse not to have a healthy breakfast. 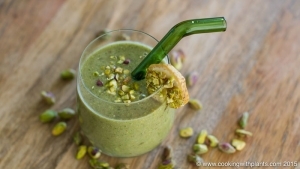 Pistachio Mint Green Breakfast SmoothieThis pistachio mint green breakfast smoothie tastes absolutely amazing and is one of my favorite vegan breakfast recipes. 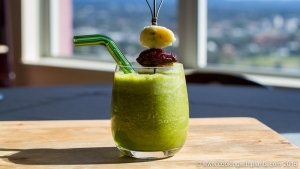 If you are in a hurry or just don't feel like spending much time in the kitchen, then this tasty green smoothie is a must! Salted Caramel Hot Chocolate (Dairy Free)This thick and creamy salted caramel hot chocolate will put take you to chocolate heaven! 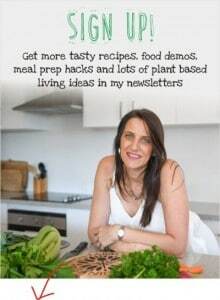 It tastes so decadent and rich, contains no dairy and is full of delicious plant based ingredients. Dairy free and so rich and creamy! This is a fabulous vegan treat and you can even make it really thick and have it as a pudding for dessert. YUM! 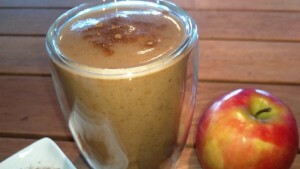 Salted Caramel SmoothieThis vegan salted caramel shake is so rich, sweet and creamy... it is almost like a smoothie and dessert in one... Enjoy!